Happy Holidays Snack Gift Box is rated 5.0 out of 5 by 3. Rated 5 out of 5 by Greenie from Nice variety. I sent this to friends who were very pleased with the presentation and contents of it. Rated 5 out of 5 by Robbelyon from great gift for my college kid! Really great-warmed the heart of my son for Hanukkah and studying for finals! This fun, festive snowflake covered present box is just what the doctor ordered to cure the winter blues! 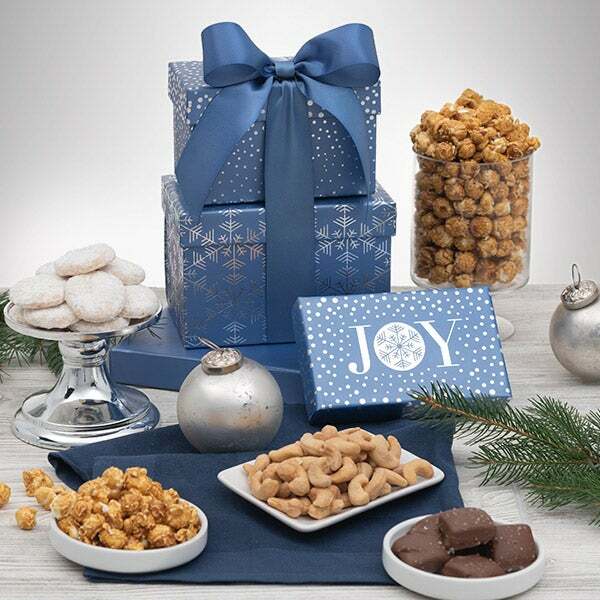 This beautiful present box is full of gourmet snacks like handcrafted popcorn, s'more chocolate covered pretzels, rich Lake Champlain chocolate and crips cookies, your recipient will forget about shoveling all that snow and focus instead on enjoying these delicious treats. 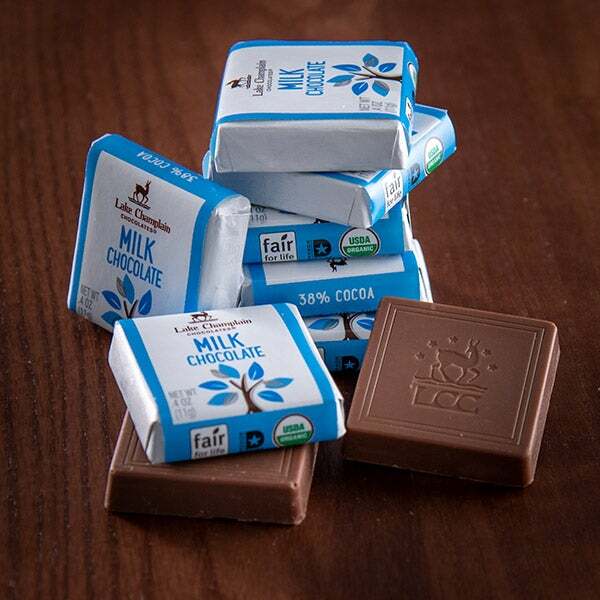 (2) Milk Chocolate Square by Lake Champlain - .4 oz. - A square of decadent milk chocolate that's crafted in small batches to guarantee absolute freshness. S'mores Pretzels by GourmetGiftBaskets.com - 5 oz. 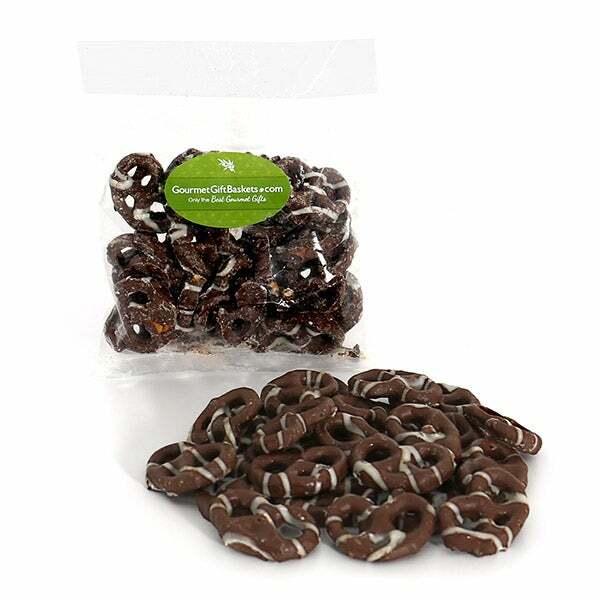 - The perfect balance of sweet and salty tastes, these thin, crisp pretzels are evenly coated in creamy, sweet s'more chocolate confection. 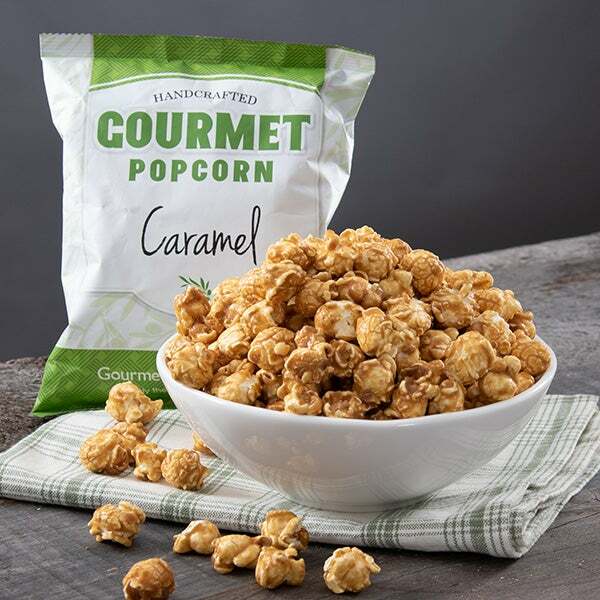 Caramel Popcorn by GourmetGiftBaskets.com - 4 oz. - Crisp gourmet popcorn that's expertly handcrafted and drenched in sweet, classic caramel. Key Lime Cookies by Byrd's Famous Cookies - 2.25 oz. 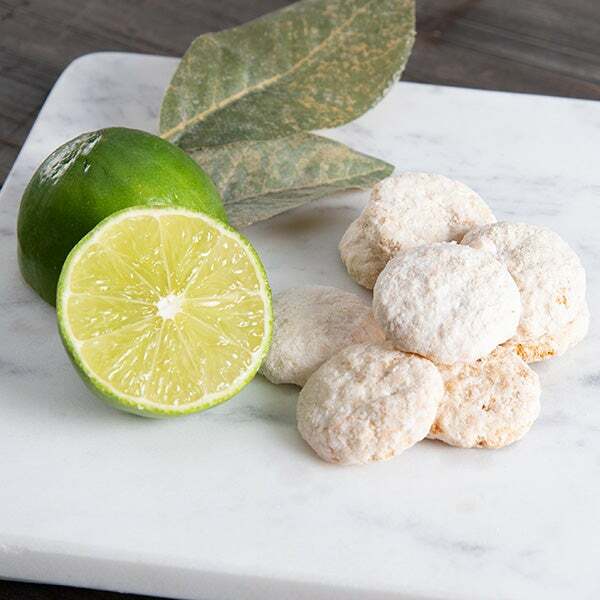 - Crisp gourmet cookies with a sweet and tart key lime inspired flavor.